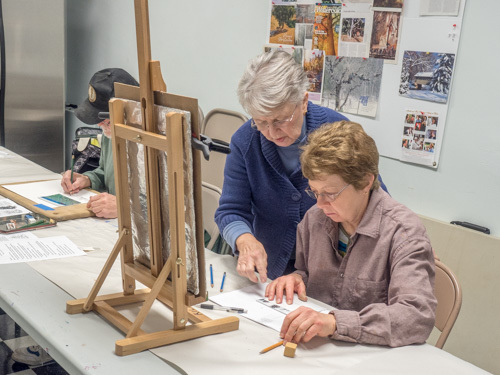 Unstructured workshop for art students who want to continue working on their art projects under the guidance of art instructor, Judith Becker. Casual and laid back painting time among company of others who also want to improve their art abilities. Participants are free to paint with any medium. Great way to keep one’s skills sharp during the summer months. Supplies: Any art materials needed in order to paint whatever one is working on. 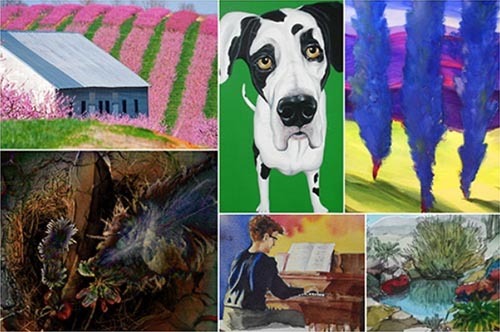 Call for Artists: Fourth Annual Eastern West Virginia Juried Art Exhibit. The Berkeley Arts Council in Martinsburg, West Virginia announces the Fourth Annual Eastern West Virginia Juried Exhibit, to be displayed in the Berkeley Art Works Gallery, 116 North Queen Street in Martinsburg. The exhibition will be on display October 5 – November 5, 2016. The exhibit is open to artists in all media who reside in one of the eight counties that compose what is known as the Eastern Panhandle of West Virginia. Those counties are Berkeley, Jefferson, Morgan, Hampshire, Hardy, Grant, Mineral, and Pendleton. The theme for the exhibit is open. The juror for the exhibit is Judith Dieruf, Professor, Painting and Drawing, at Frostburg State University in Frostburg, Maryland. Deadline for entries is August 24. All entries must be submitted using the online entry system. Details and the online entry system is on the web at http://artworks.berkeleyartswv.org/ewvexhibit/. 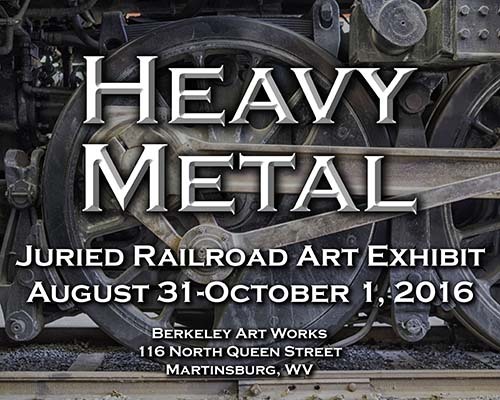 The Berkeley Arts Council in Martinsburg, West Virginia announces the Call for Entries for “Heavy Metal”, a juried exhibit of railroad art to be on display from August 31 through October 1, 2016 in the special exhibit gallery space at the Berkeley Art Works, 116 North Queen Street in Martinsburg. The exhibit is open nationally to all visual artists over the age of 18 in all media. We seek to present an exhibit of artworks in a wide range of media and techniques that celebrates the diverse rail heritage in the United States. The juror for the exhibit is Michael Doig, Assistant Professor of Art at Davis & Elkins college in Elkins, West Virginia. The exhibit is being produced in association with the Center for Railroad Tourism at Davis & Elkins College in Elkins, WV. The deadline for entries is July 18, 2016.